We are just getting into the chicken craze! It took some time to convice my wife, but with two girls, 8 & 10, it wasn't as hard as I imagined. 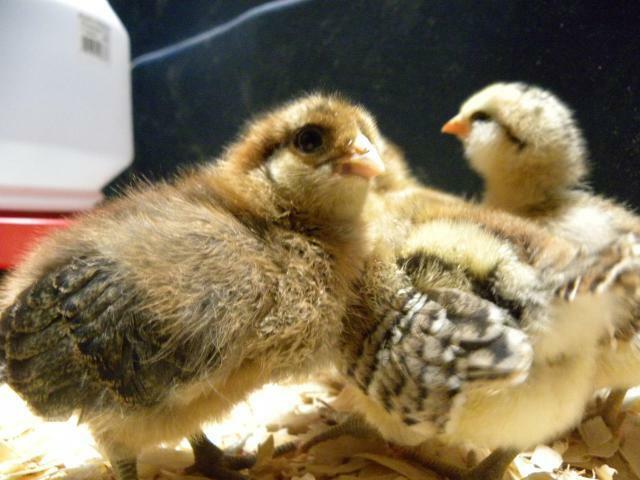 We ordered 4 easter eggers from mypetchicken.com and they are set to arrive, day old, on April 25th! Found a sale at our local TSC and picked up a heat lamp w/ bulb, a feeder and waterer for next to nothing. They also sell the pine shavings in a 50 lb bag for something like $10.00. Everyone is very excited to get started and can't wait for the ladies to arrive!! I will post more as it starts to happen, including the coop build out! THE CHICKS ARE HERE!! The arrived today 4/26/11. Got the call from the post office that my chicks are waiting to be picked up. Ran over and all is well! They are in the brooder warm and comfy. They are eating, drinking, and of course pooping! My two children already have names picked out as does my wife! I have not picked one yet. They are cute and once I can figure out how to post a few photos I will. 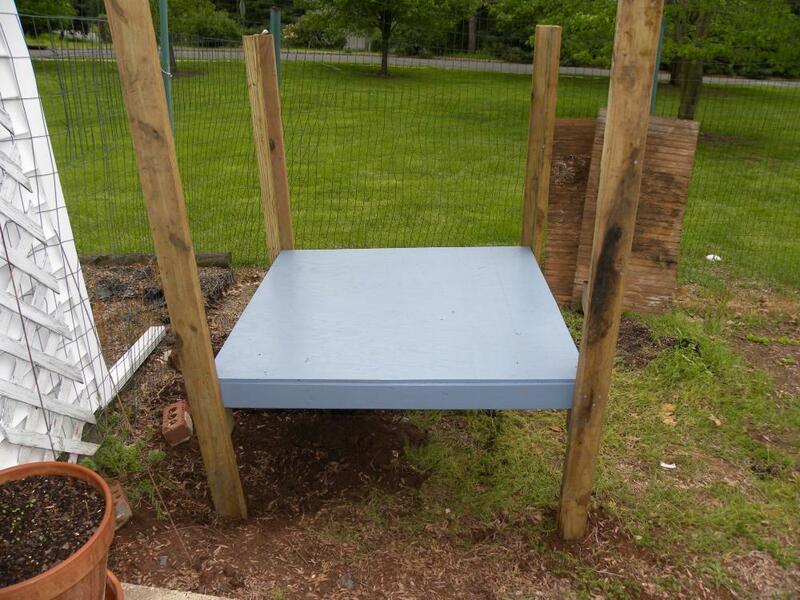 Here is one of the coop in progress. Sorry for not including a step by step photo gallery. Once I get started I keep going and forget to take a few pics while working. Here are the girls at only ONE WEEK OLD! !